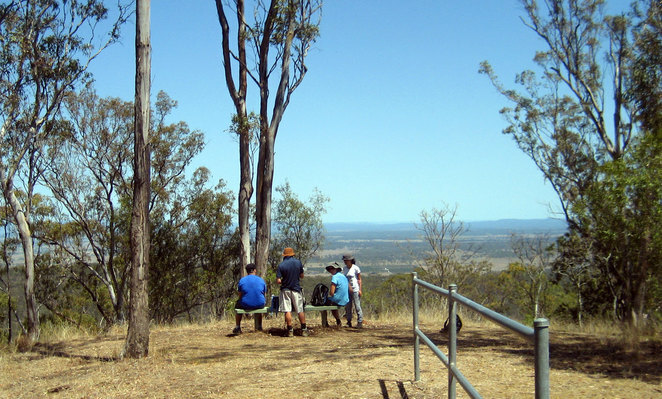 If you are looking for a lovely little hike not far from Brisbane then Goolman Lookout circuit is a great like bushland hike in the Ipswich area with great views and options for further hiking. 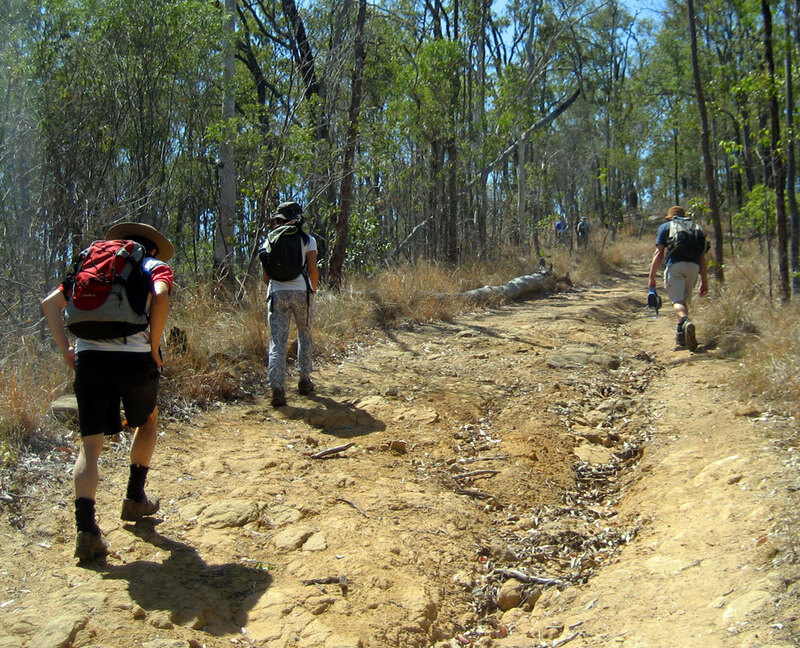 The hike starts at Harding's Paddock Picnic Area at the end of Carmichael's Road. While this is a dirt track it is well maintained and suitable for all vehicles. The picnic area has toilet and picnic facilities. 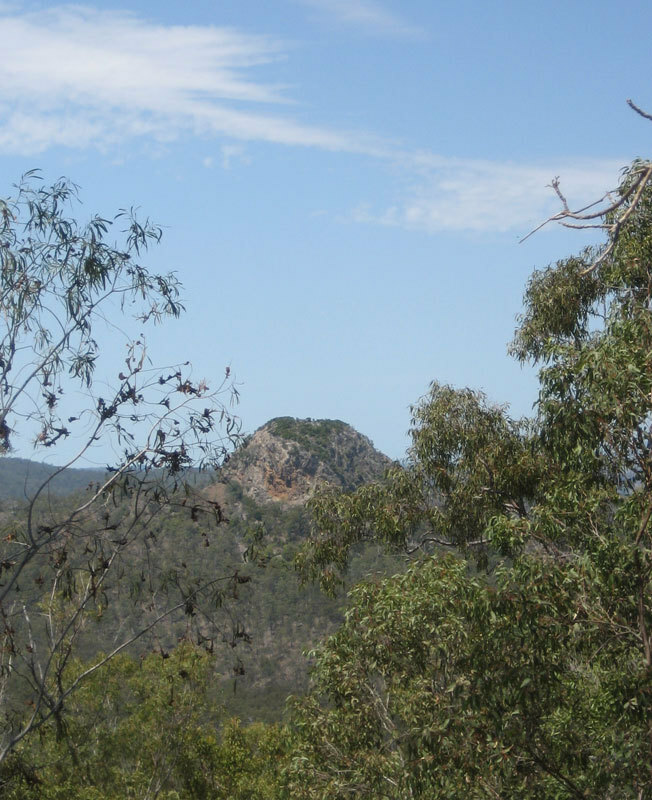 While we walked the circuit in an anti-clockwise direction the best way is probably to do the opposite heading first to Rocky Knoll which provides some okay views and continue along the track towards Goolman's Lookout which provides much better views. Now to clarify, you don't actually ascend Mt Goolman. Instead the lookout is named Goolman Lookout because it provides views of that mountain. There are also views of other peaks in the area and on a clear day you can see Brisbane off in the distance. The tracks up and down are fairly steep but don't require any scrambling. However it is a great little workout and probably only about 2.5 km of the total 7.4 km circuit is uphill. It will give even the fittest person a good workout while not being too taxing even for the moderately fit. The views of course makes it worth the effort. If you are very keen it can be used as the start of the 19 km return Flinders-Goolman trail. This trail takes you around several peaks including Mt Goolman, Mt Blain and Flinders Peak and is one of the great longer open bushland hikes in the area. 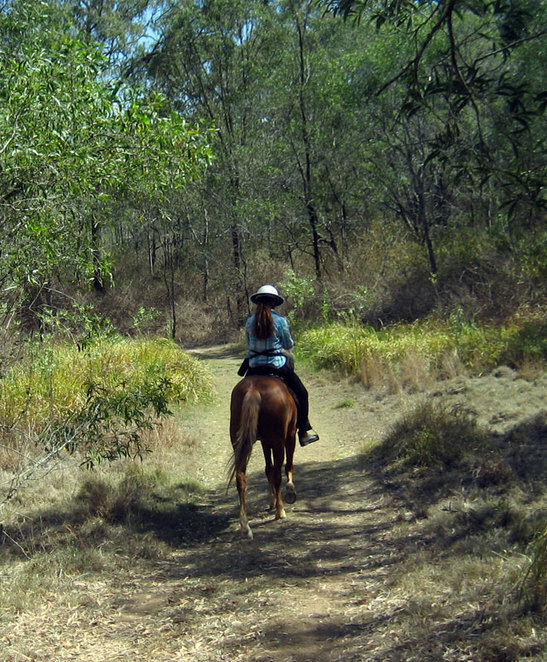 The trails are generally multi-use and so you will be sharing the tracks with horse riders and sometimes mountain bikers. There are plenty of facilities for horses, including a hitching rail up on the lookout. The tracks are wide and can be a little hot in summer but there is still plenty of shade around especially at the lookouts. This is an ideal spring or autumn hike. 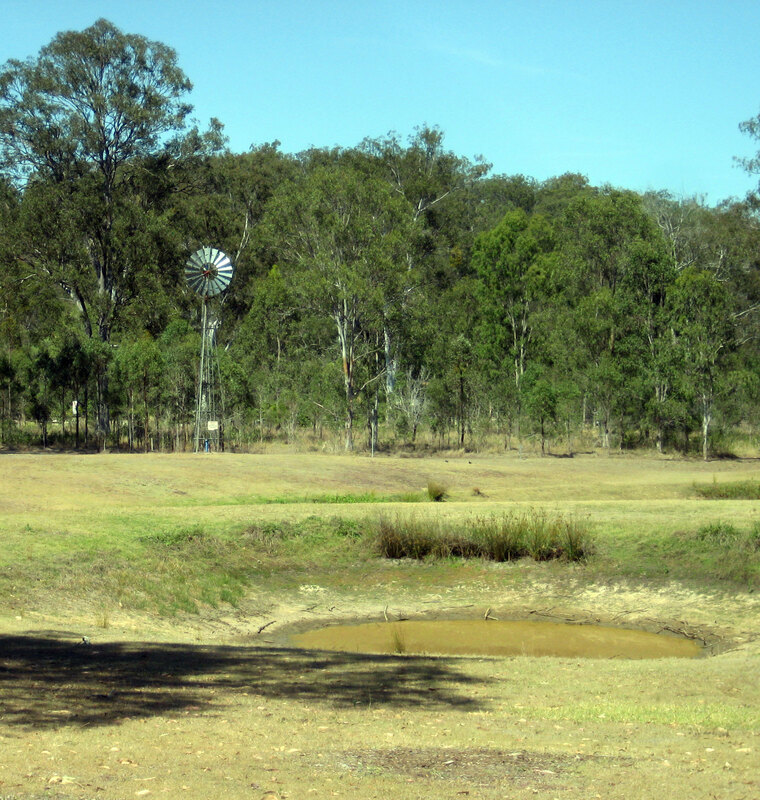 The area is known to have plenty of wallabies, kangaroos and other wildlife, though the best time to spot them is early in the morning or late in the evening. For this reason dogs are banned even though you see plenty of people with their dogs on the trail. If you are coming from outside Brisbane one of the best places to head for lunch, coffee or cake are in the downtown Ipswich area which is quickly becoming home to numerous cool cafes and pubs and is always worth a visit. We didn't quite head downtown but went to very cool Wild Poppy Cafe on Warwick Street just on the edge of Ipswich Central.